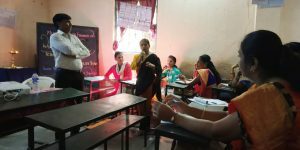 Mumbai Smiles staff and teachers were trained on various forms of disability and the importance of recognizing the issue at the earliest. Today when technology has improved by leaps and bounds in every sector, communities and educational institutions across India is unaware of disabilities as a condition affecting children. Mumbai Smiles has been focusing on education, health, livelihood and human rights since inception. This year the organization endeavors to spread awareness about disability and associated rights among teachers and parents of our beneficiaries. On 19th Jan 2019, Mr. Dnyaneshwar conducted an awareness session with 44 participants – Mumbai Smiles staff, teachers of pre-primary and higher education. Collaboratively organised by the health and education team, the session provided information on different forms of disabilities. The interactive session was aimed at helping participants recognize the signs of disability among school children. Audience was also introduced to various schemes and services provided by the government for children affected by the condition. 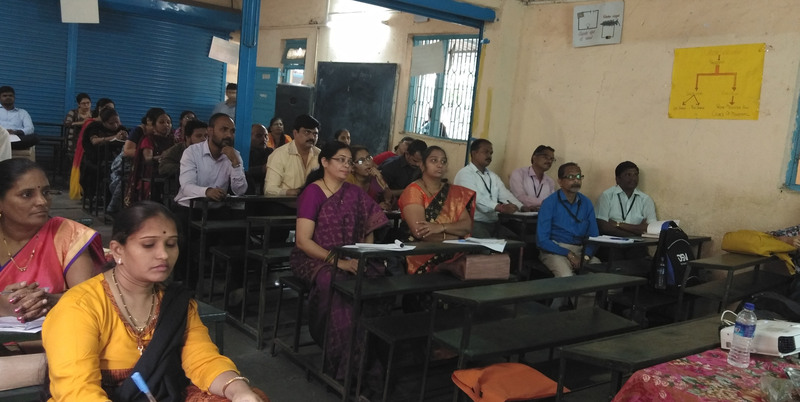 These sessions are extremely important especially for teachers who interact with students regularly and observe every child’s progress throughout the year. Building teachers’ capacities in this subject will help students and their family seek treatment and care at the earliest.